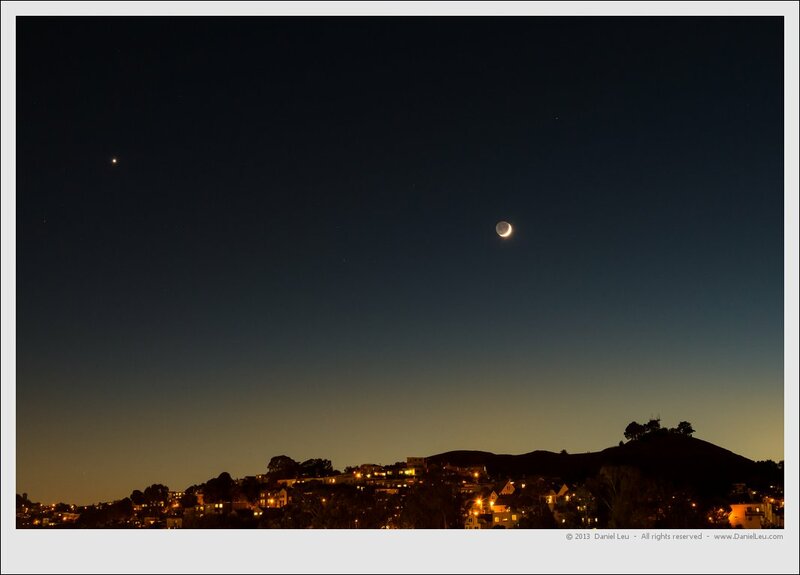 It is not that long ago that I captured the moon with Venus over Bernal heights [link]. Tonight we had a similar situation and I couldn’t resist to take my camera out of the bag. But I didn’t stop after the first few images. Today I set up my camera to capture the sequence of the moon setting behind the hill. 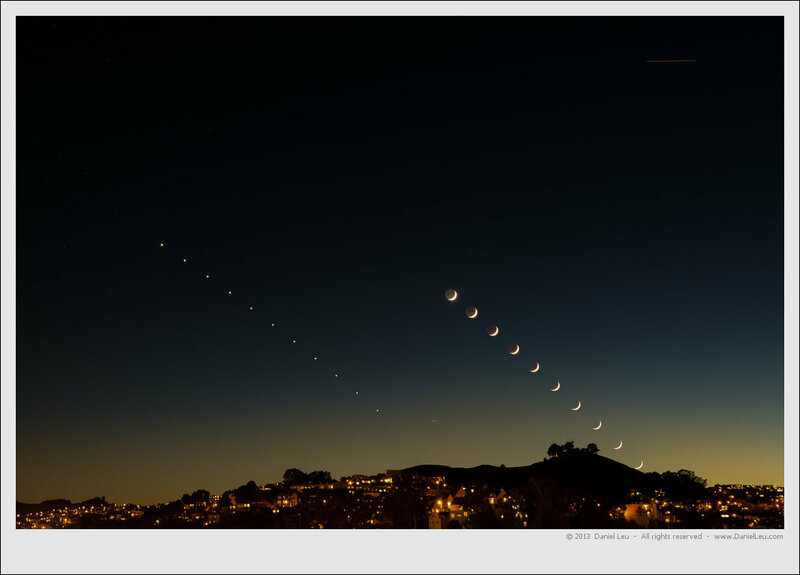 Since I didn’t know how much the moon moves in a given time span, I took an image every 30s. This was way too much. As it turned out, one image every 6 minutes is all I needed to create my little sequence. Dear Sir I am trying to visualize what moon would look like through apex and descending. Nowhere am I able to find anyone who has captured moon shape (like a crescent) to the observer over one whole night. Just check the rising time or setting time of a crescent moon and then you will notice that such a moon is only visible for a short time during the night.